Located in the River Market section of Kansas City, Breakout KC has been offering consistently entertaining escape room experiences for the past few years, with enough success that they’ve expanded to a second nearby location. Visitors will see their logo prominently displayed on one side of the building, although we’ll recommend using a trusted GPS to get you there just to be safe. Be advised that parking is at a premium at the River Market location, so allow extra time to park before your appointment and be sure to note any signs restricting nearby spaces. Once inside, we found a clean, bright lobby with lots of local flair displayed in local sports jerseys alongside drinks and shirts for sale. Out-of-towners are encouraged to mark their hometowns with a pushpin on the map in the hall. While the small lobby offers pleasant seating for a group, there are no games or activities while you wait, which may discourage some from arriving early. Also, be advised that the lobby is also the entrance/exit for Szechuan Secret, so you’ll need to take care to avoid spoilers from the group before. Our attendant clearly explained the standard rules and clue system, which grants three total clues to be delivered by the attendant via a monitor in the room. There’s also a locally-produced video to start the room, which attempted to set the stage for our escape conditions. A surprise guest then arrived to restrain each team member individually, and the clock began. The video is a great idea for immersion, but our group wished that it had contained a clearer story and that the surprise guest had committed to that story with costume/performance elements to match the restraints. There are a lot of items to manipulate in Szechuan, and all appeared to be in good working order outside of a couple of slightly sticky locks. A few items were worn in a positive way that added to the look and feel of the space, but others were worn and cheap in a distracting way – for example, anyone who’s been around kids over the past few decades will recognize the plastic fruit. We would love to see greater detail and investment, especially with the fruit, to enhance the established setting. That fruit, the confusing story, and guest at the opening were our biggest obstacles to immersion into Szechuan. The room nicely incorporates what appear to be Chinese symbols and the Chinese calendar, with appropriately designed decorative elements to create the feel of an Asian market used as a front for more sinister ends. The puzzles mostly support the theme, although a few of the materials and planted clues were so obvious as to defy authenticity. Generally, our group found that the room’s design elements create a good sense of location, but the story doesn’t match either the location or the evolution of the puzzles. Speaking of puzzles, Szechuan makes no secret of its progressive structure of smaller puzzles leading to a larger final puzzle. There’s a good amount of variety in these smaller puzzles, including use of some unique, old-school technology that excited our group with its elegant simplicity. The overall puzzle design makes it easy for multiple people to work on different items simultaneously, although we found that the repeated use of a couple of items did detract somewhat from the experience. With so many small, relatively simple puzzles in a room, we’d love to see minimal repetition in order to maximize the sense of discovery for each puzzle. However, the relative simplicity of some of the smaller puzzles does offer consistent encouragement to younger or less experienced escapers. That encouragement is really the heart of Szechuan Secret’s fun – there’s a lot of steps to take, which means you get a lot of chances to get something right. Breakout KC excels in creating this kind of accessible fun in their escape rooms, and Szechuan Secret is no exception. This room calls for a lot of activity and advancement through smaller tasks toward a big reward, which gave our group an ongoing sense of accomplishment as we pushed toward our escape. That said, there are some physical issues with the space that may impact the experience. The second room is much smaller than the first, which left one of our members feeling left out as the action moved to the second room because we couldn’t all be in the second room at the same time. Additionally, the room’s demand for restraints, light lifting, and some kneeling/squatting may prove difficult for some people, depending on their capacity and their taste. Overall, we found that Szechuan Secret provided an empowering progression of puzzles and consistent activity which created a nicely controlled anxiety that made us excited and proud to escape. It’s a well-conceived room that would benefit from larger space as well as greater detail in props and narrative. We think Szechuan Secret will pleasantly challenge beginners while still offering unique tools to impress experienced escapers. 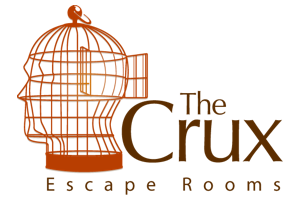 However, due primarily to room size, we would recommend this room for groups of 3-5 people, and larger groups should be warned that experiences may vary among the members of the group. Best of luck to anyone looking to break out of Szechuan Secret!